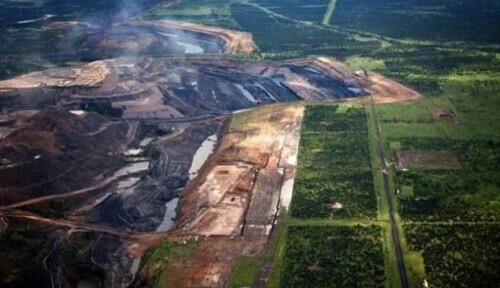 The controversial Carmichael Coal Mine and Rail project planned for north Queensland by Indian conglomerate Adani Group has cleared another major development hurdle, winning an environmental green light from the federal government. Coalition environment minister Melissa Price said she had approved the groundwater management plans for the massive project, based on “the scientific advice” of the CSIRO and Geoscience Australia, that Adani’s revised plans met strict requirements. “Following this independent assessment and the Department of Environment and Energy’s recommendation for approval, I have accepted the scientific advice and therefore approved the groundwater management plans… under Environmental Protection and Biodiversity Conservation Act 1999,” the minister said. The green light from Price does not amount to the final approval for the massive and controversial project in Queensland’s Galilee Basin. A number of further approvals are required from the Queensland government, and it must meet “further stringent conditions of approval from the Commonwealth” before it can begin producing coal. But it is still a major breakthrough for the project, on the eve of the upcoming federal election. Indeed, pressure from within LNP ranks appears to prompted the swift approval, with repports Nationals senator James McGrath threatened to call for the environment minister’s job if she did not toe the line. What is also scientific is last October’s Intergovernmental Panel on Climate Change report, warning that the internationally accepted goal of limiting global warming to 1.5°C is drifting rapidly and dangerously out of reach, and offering a particularly clear message about coal. Next post: What size solar power installation should you buy?